After a short but violent rain storm in the desert, the sky can open up and create amazing visuals. 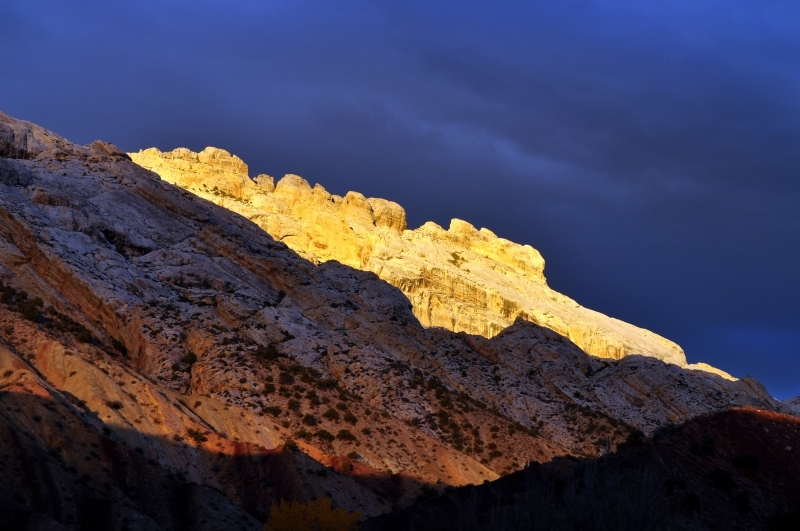 This particular evening, camping at the base of Split mountain, the event caused the mountains to shine like gold. It was stunning to see this happen, absolutely magical.